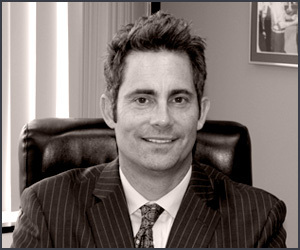 Will Bruzzo has been successfully representing members of the United States Military for almost 20 years. In two recent cases where he was representing Marines charged with ingesting a controlled substance (UCMJ Section 112a) the legal proceedings prior to trial showed that there were serious problems with the urine testing procedures being used at the Navy Drug Screening Lab (NDSL) in San Diego, California. These problems became public when on May 1, 2012, the Director of NDSL Commander Lee Hoey and his Deputy, Commander Shelly Hakspiel were relieved by the Commanding Officer of the Navy and Marine Corp Public Health Center. This information came out of a press release made by the Navy Medicine Support Command Public Affairs on the same date. Mr. Bruzzo discovered this information as he was litigating two separate cases where Marines at Camp Pendleton had come up positive in random urinalyses but denied having ingested a controlled substance. Mr. Bruzzo took the opportunity to question an expert at a pre-trial hearing provided by the NDSL, Christopher George. Mr. George testified under oath that a ‘false positive’ had occurred at the NDSL on April 2, 2012. The false positive came about when a blind sample was sent to the NDSL from another government laboratory, the Armed Forces Medical Examiner System (AMES) to test the procedures at the NDSL. This blind sample contained a controlled substance, MDMA also known as ecstasy. However, when the NDSL reported a positive result for this sample they reported it positive for Methamphetamine and for MDMA. AMES notified NDSL that a false positive had occurred since there was no methamphetamine in the AMES blind sample prior to it arriving at NDSL. Despite the relief from duty of the Director and the Deputy Director of the NDSL about 30 days after the false positive the Navy Press release and Mr. George state that the relief occurred for reasons of “low morale” at the NDSL not because of the false positive. Mr. George testified that an internal investigation as well as investigations from outside groups hired to determine the cause of the false positive found that a NDSL technician had used a contaminated pipette tip from a urine sample containing methamphetamine and contaminated the AMES blind sample. Mr. George initially echoed an internal report called a Non-conforming Event Report, which said that this false positive occurred only when an unauthorized testing procedure was used as a way of avoiding ‘crystal accumulation’ in amphetamine/methamphetamine urine testing. However, upon further questioning he conceded that the problem of the contaminated pipette could have affected testing common to all controlled substances. The latter would indicate that the problem was not limited to urine samples positive for amphetamine / methamphetamine. Both of the cases Mr. Bruzzo was litigating were dismissed by each Command prior to trial even though both Marines may be subject to Administrative Separation later. Neither Marine was found positive for methamphetamine.